I just got this off Kyle last week.. I LOVE it, it sounds great, plays great.. Its perfection, I was planning on replacing the neck with a rosewood board though (never been big on maple). 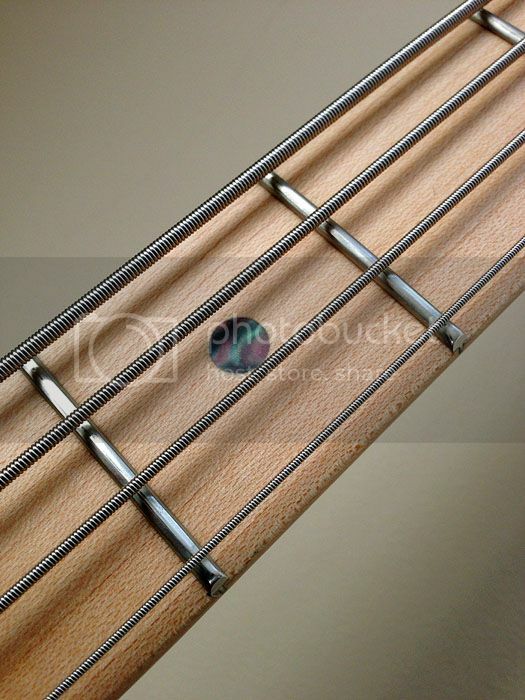 Necks can be ordered from G&L, ive had one priced up and.. it places it about the same as passing this one on and buying a new G&L with the neck I want (also, this neck has been plek'd for THIS bass, new neck would need to be dressed and set up.. Its vaguely criminal to molest a beautiful bass like this in that way and it may never be the same. I'd be ordering the same bass with a rosewood board pretty much, (new neck is in the $600-700 range + setup, new G&L with the same specs is $1600 or so). 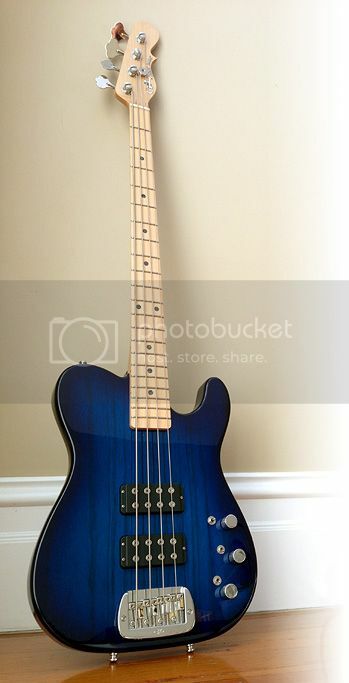 Premium blueburst finish, swamp ash body, #8 Modern C neck (modern jazz style), abalone inlays, vintage case, quartersawn neck w/ clear satin finish, lock down bridge, light alloy tuners, plek setup, minimal fret wear (none really), 6 bolt neck..
Not a scratch or mark on it, some glossiness on the neck due to play. It was $999 from Kyle. I'll do $950 due to me playing the snot out of it over the last week! I'm in Coburg Melbourne, can ship anywhere. Wow - sold already. Good stuff. I don't jump to conclusions on you selling stuff just after buying them Mr Mow, I just look forward to seeing the photos! maxgroover wrote: Wow - sold already. Good stuff. I'm already sorting the order of a new one, they really do make a lovely bass. Jeez! I was gonna get on here and post that if I had sellers remorse I could snap this thing back up but I wasn't quick enough!!! Arse hat. How did I miss this? Swinging Beef wrote: Arse hat. How did I miss this? An give it 6 months, you can probably have the one I'm about to order.. You know how fickle I am! What colour would you like Darren?! 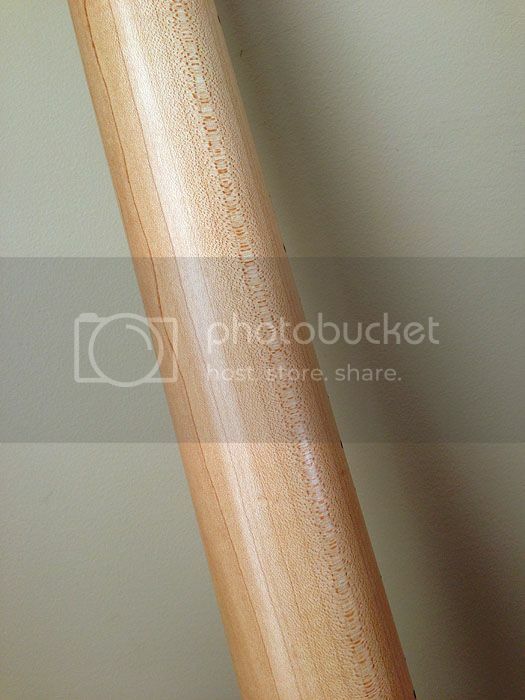 A testament to good photography! Also, I guess people have been watching the saga of this one as I have. I dont even care if it's asat, or L2000.. I'll leave tht up to you. Two strap buttons so you can stand it up against a wall and it won't fall over. Why didn't someone think of that 50 years ago. So I'm confused. Is this still for sale or was it sold again? Rickenbacker - 08 4003, Rickenbacker - 13 4003 SnowGlo, Rickenbacker 4003 Noir, 81 Schecter Jazz. DeadlyErnest wrote: Two strap buttons so you can stand it up against a wall and it won't fall over. Why didn't someone think of that 50 years ago. Bought a Schecter with 2 strap pins like that 30 years ago. Too soon?